The beneficial compounds in cannabis can be administered by inhaling smoke or vapors, ingesting cannabis added to food or drink, swallowing capsules, taking liquid extracts such as tinctures or oils absorbed through the mouth or swallowed, or applying cannabis lotions, salves or patches to the skin. Each delivery method will have a different medicinal effect, even when using the same strain of cannabis. There is no “best” delivery method – each has it’s benefits, drawbacks, and clinical utility in certain situations. Inhalation of cannabis has several advantages, including fast onset, ease in consuming the correct dosage, and convenience. It’s an ideal delivery for patients with nausea, vomitting, or other conditions that make swallowing difficult. Due to the rapid onset of inhaled cannabis, it’s easiest for users to judge their response and know how much the cannabis is helping and whether or not they need more. On the other hand, inhaled cannabis is more likely to cause cardiovascular side effects, has a shorter duration than other methods, and may have a higher abuse potential. Smoking is perhaps the most traditional method of cannabis use, and while it works well for many patients, it has some disadvantages. The heat and smoke irritate the respiratory tract and lungs and could potentially worsen conditions such as asthma and COPD. While the smoke itself contains carcinogenic (cancer-causing) substances, long term heavy marijuana smokers do not have an increased risk of lung cancer, likely due to the anti-cancer properties of cannabis offsetting the carcinogens in the smoke. Herbal vaporizers are very popular with many medical marijuana patients, and are widely considered to be the healthiest way to inhale cannabis. 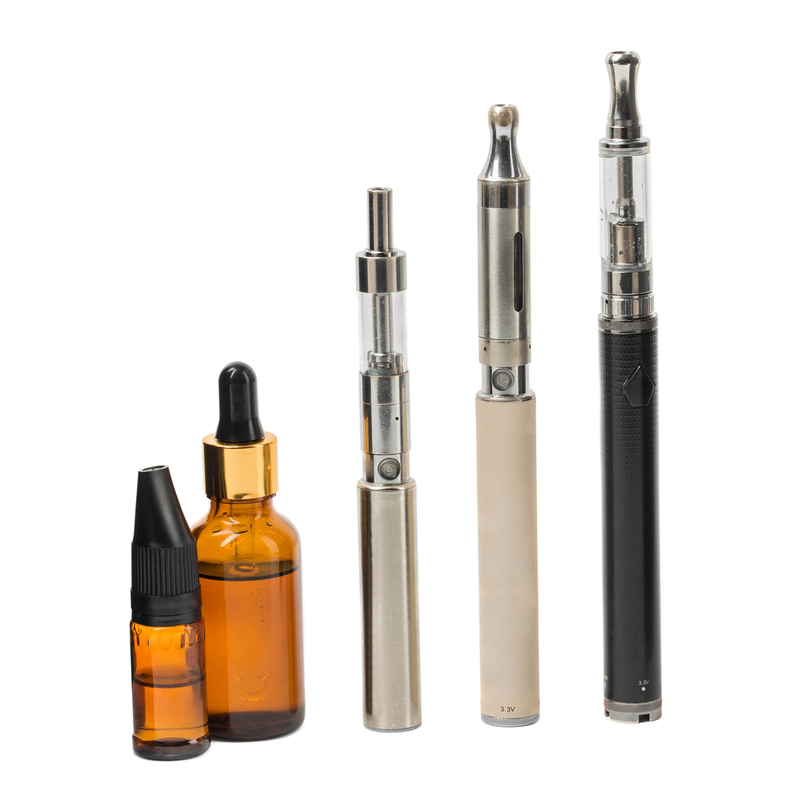 Studies have shown vaporizers reduce the amount of harmful substances created compared to burning and smoking. The vaporizer heats the herb to a specific temperature between 300 and 400 degrees Fahrenheit, releasing the medicinal substances into a vapor without the plant material burning. The vapor produced is warm and non-irritating. It contains the smell and flavor of the cannabis but feels as if you are breathing air. A wide variety of vaporizers can be found on the market today, and many require some practice before achieving optimal use. When a patient uses a vaporizer it may take a little longer for the therapeutic effects of the cannabis to be felt compared to smoking. Many novices make the initial mistake of taking too many puffs in their first use, thinking they are not getting the medicine because it does not feel like smoke in their lungs. You can avoid this mistake by following our Introduction to Cannabis and Cannabis Sensitization programs. Cannabis or its oil-based extracts can be added to balms, lotions, salves, patches, and linaments. Many of these preparations can be made at home and applied topically to help alleviate pain, muscle spasms, inflammation, itching, and various skin conditions, including eczema. Topical use of cannabis typically does not produce psychoactive effects if used in small amounts and in small areas. Using large amounts over significant areas of the body can cause psychoactive effects. Topicals labeled “transdermals” are designed for better absorption and will have a full body effect. The efficacy of a topical preparation may depend on its potency, but many patients have found they can use flower/bud trimmings or leaves to produce an effective topical medicine. A tincture is a liquid extraction of cannabis, often in a solution of alcohol. Sometimes the word tincture is erroneously used to describe oil infusions, which can be used in a similar manner. Liquid extracts can be absorbed directly through the mucous membrane in the mouth for faster onset, or they can be swallowed. This is one of the most versatile delivery methods and works well for most patients. They are convenient, discreet (minimal odor), and easy to dose correctly. The onset and duration are intermediate compared to ingestion or inhalation. Liquid medicines do have some challenges: active constituents can settle to the bottom of the bottle, the effects are variable if held in the mouth vs swallowed, alcohol tinctures can irritate the mouth and may be inappropriate for people with a history of alcohol abuse, and the taste can be bitter or spicy. To use a liquid cannabis extract, a specific number of drops or milliliters can be placed under the tongue and held for 1-2 minutes before swallowing. Brushing one’s teeth first can increase blood flow in the mouth and speed the onset. Because each batch of liquid medicine may have a different potency, be sure to look at laboratory testing results, or if unavailable, start each new batch with a few drops and increase slowly. When using an alcohol based tincture, add the liquid to a small amount of warm or hot water first – this will evaporate some of the alcohol and dilute the rest, preventing irritation to your mouth. Cannabis can be added to a wide range of capsules, foods, and beverages. When cannabis is swallowed, it is absorbed through the GI tract and then metabolized in the liver (known as first-pass metabolism), which changes the cannabinoids into a form with longer duration of action and somewhat different medical properties. Many users report ingestion produces a stronger psychoactive effect, while others report less psychoactivity, and most find that ingestion produces somewhat different therapeutic effects. Many patients find that once they know their optimal dose, ingestion is a superior delivery method due to convenience, long duration, and preferred effects. Ingestion can be complicated by erratic absorption from one day to the next – absorption may depend on other foods consumed, sleep, stress, and other factors that affect the motility of the gastrointestinal tract. Also, cannabis edibles may not have a homogenous distribution of cannabinoids throughout the entire product – one half of the cookie may be more potent than the other half. It is often difficult to achieve the correct dosage when consuming cannabis edibles, mostly because it takes so long for the patient to know if he or she has taken too little or too much. For these reasons, we emphasize caution when eating cannabis; it is a good idea to start with a very small amount, wait 2-3 hours, then repeat the dose if needed. While it is not dangerous to overdose on edible cannabis, the effects can be quite unpleasant, sometimes aggravating the symptoms a patient wishes to improve. Since so many patients make dosage mistakes with cannabis-infused foods and have unpleasant experiences, we recommend keeping novice cannabis users avoid edibles and use cannabis in the form of a medicine, not a food. Please note that while raw cannabinoids have non-psychoactive therapeutic properties, the effects commonly associated with cannabis are due to cannabinoids that have been heated (decarboxylated). Before being consumed, cannabis must be heated to convert the cannabinoids into their active form. Cannabis suppositories can be useful for treating conditions in the pelvis and low back, and in patients who are unable or prefer not to inhale or swallow cannabis. Some patients report that rectal administration is less-psychoactive than eating, which may be due to the avoidance of first-pass liver metabolism. The little research on rectal cannabis absorption shows wide variability in absorption, and the composition of the suppository can make a significant difference. Almost all of the research on the therapeutic properties of cannabinoids has examined the compounds after they have been exposed to heat, an activation process known as decarboxylation. A small body of literature has shown that raw cannabinoids possess anti-inflammatory and anti-nausea properties at surprisingly low doses in rodents. Patients have reported that raw cannabinoids are also effective for treating pain and seizures. Raw cannabis is non-psychoactive and has a higher content of terpenes, the substances that produce the aroma, which also have a broad range of therapeutic effects. While very large doses can cause some digestive upset, few other side effects have been reported from raw cannabis. Fresh raw cannabis flowers can be eaten directly (chewing for a few minutes can speed onset), prepared into an oil, or brewed into tea (boil 1g cannabis in 1 L of water for 15 minutes). This recipe of cannabis tea produces a beverage with 90% raw cannabinoids and 10% decarboxylated, and quickly loses its potency over the course of a week, even when stored in the refrigerator. Brenneisen, R., et al. “The effect of orally and rectally administered delta 9-tetrahydrocannabinol on spasticity: a pilot study with 2 patients.” International journal of clinical pharmacology and therapeutics 34.10 (1996): 446-452. Earleywine, Mitch, and Sara Smucker Barnwell. “Decreased respiratory symptoms in cannabis users who vaporize.” Harm Reduct J 4.11 (2007). Elsohly, Mahmoud A., et al. “Rectal bioavailability of delta-9-tetrahydrocannabinol from various esters.” Pharmacology Biochemistry and Behavior 40.3 (1991): 497-502. Gieringer, Dale, Joseph St. Laurent, and Scott Goodrich. “Cannabis vaporizer combines efficient delivery of THC with effective suppression of pyrolytic compounds.” Journal of Cannabis Therapeutics 4.1 (2004): 7-27. Grotenhermen, Franjo. “Pharmacokinetics and pharmacodynamics of cannabinoids.” Clinical pharmacokinetics 42.4 (2003): 327-360. Hart, Carl L., et al. “Comparison of smoked marijuana and oral Δ9-tetrahydrocannabinol in humans.” Psychopharmacology 164.4 (2002): 407-415. Hazekamp, Arno, et al. “Cannabis tea revisited: A systematic evaluation of the cannabinoid composition of cannabis tea.” Journal of ethnopharmacology 113.1 (2007): 85-90.